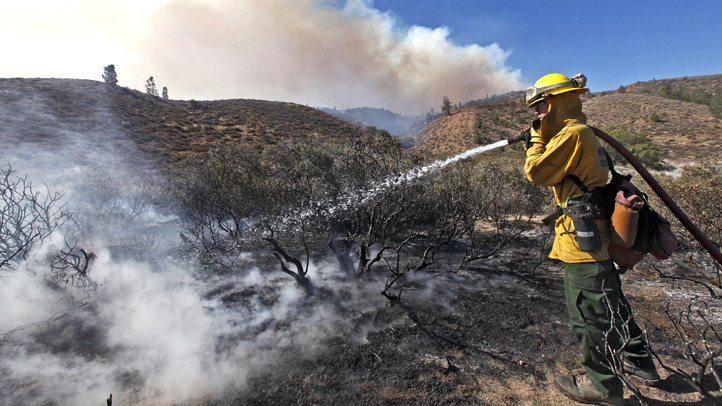 California Commission's Task: Who Should Pay for Wildfires? A state commission met for the first time Monday, tasked with answering the difficult question: Who should pay for California's increasingly devastating and costly wildfires? It's a question that has perplexed lawmakers following wildly expensive wildfires in 2017 and 2018 that partly prompted the state's largest utility, Pacific Gas & Electric Corp., to file for bankruptcy. The five-member board has until July 1 to make recommendations to lawmakers and Gov. Gavin Newsom. "We can do better; there are solutions and this board gives us an opportunity to bring those forward," said Carla Peterman, the group's chairwoman and a former member of the state's utility regulator. California suffered its worst and costliest wildfire seasons on record in 2017 and 2018 and experts say climate change is only accelerating the threats. Under California law, utilities are responsible for most of the costs of wildfires sparked by their equipment, even if they aren't negligent. They've long argued for a change in the law, saying it's too strict a standard that brings unbearable costs. PG&E said it was filing for bankruptcy in January because of tens of billions of dollars in wildfire liabilities it faced. Lawmakers debated a change last year but ultimately backed off, instead offering temporary financial relief to PG&E by letting it pass on some costs to customers. Critics decried it as a bailout for the utility, which has a history of safety problems. But that was just a one-time fix; it's the commission's job to suggest long-term measures. It's members are Peterman; former Insurance Commissioner Dave Jones; Michael Kahn, a former chair of California's Independent System Operator; Pedro Nava, a former state lawmaker; and Michael Wara, a research fellow on energy policy at Stanford University. 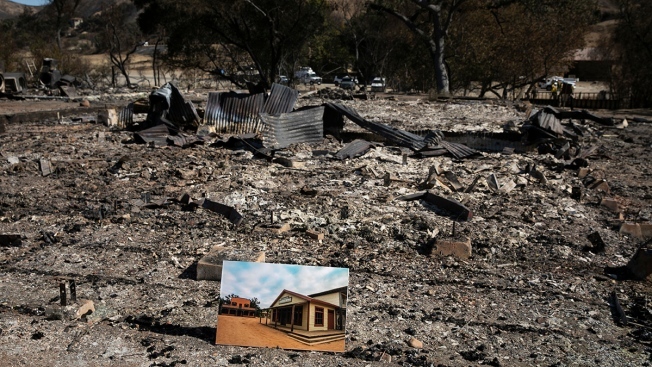 On their to-do list is determining how to spread costs from wildfires in "an equitable manner" and considering whether the state should create a special find to cover wildfire costs. They face a tricky task with an array of competing interests, chief among them how to balance wildfire costs between utilities, their shareholders and their customers. The lone utility representative who spoke at the meeting was Caroline Choi, senior vice president for corporate affairs at Southern California Edison, who urged the board during public comment to change the liability standard. After her testimony, Kahn said he hopes the utilities engaged in the discussion in good faith rather than offering criticism at the end of the process. "I will be disappointed if you hold your tongue until we're done," he said. California Gov. 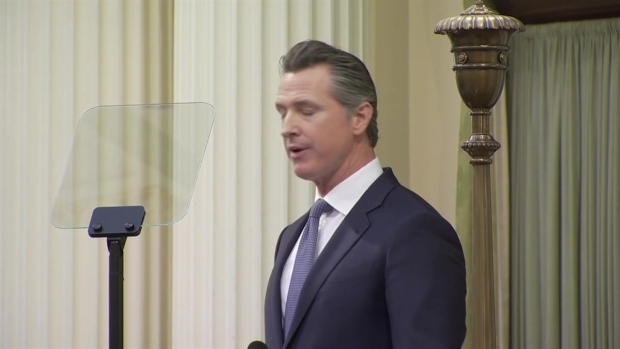 Gavin Newsom says he'll have a plan within 60 days for dealing with the recent bankruptcy filing by Pacific Gas & Electric after years of devastating wildfires. He also discussed education, addressing the teachers strike in Los Angeles. Commissioners said they want to include more community voices in future meetings to learn how they're guarding against wildfires and dealing with the costs. "I don't think we've heard much of that yet," Nava said. Although it's not a required topic for the commission, some members said they want to discuss local policies around building in high wildfire risk areas. Some state officials have suggested the state should play a greater role in limiting where people can build or what precautions they must take to prevent against fires. "Maybe we can't solve it, but maybe we can make recommendations for long-term planning," Kahn said. "Finding out more about incentivizing and helping local communities to lower the risk might be something very valuable."